Office for the Pastoral Care of Migrants and Tourists at the NDS began work on 1 March 2016. Taking into account routes and significance of the new migrations, the Archdiocese of Zagreb expanded its pastoral care to the pastoral care of migrants and tourists set by the example of Jesus Christ and the teachings of the Holy Scripture. The Office organises its work in line with the instruction of the Pontifical Council for the Pastoral Care of Migrants and Itinerant People Erga migrantes caritas Christi, as well as guidelines of the Church fathers on the pastoral care of migrants and tourists. 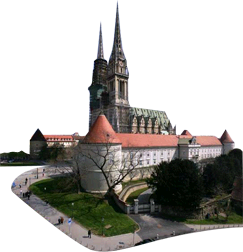 The Office will attend to migrants on the territory of the Archdiocese of Zagreb with special pastoral care, as well as tourists who visit the Zagreb Cathedral and other shrines or sacral objects in its territory. Encouraging community in solidarity and cooperation with tourists and migrants. Establishing places for providing information and help to tourists and migrants. Standing up for the respect of human dignity and the rights of tourists and migrants. Several thousand foreigners live in Zagreb temporarily or permanently due to work or study. Also, lately a lot of migrants from Middle Eastern countries pass through our Archdiocese and some of them seek asylum. The Office wishes to provide necessary pastoral care for Catholic migrants and to engage in and develop a friendly dialogue with all migrants. The Office will thus inform the public of different religious events, and coordinate and organise celebrations of Holy Masses in foreign languages, the sacrament of penance and reconciliation as well as other liturgical celebrations and, if necessary, organise other religious events, catecheses, spiritual revival and evangelisation seminars. Also, the Office will cooperate with church organisations which are working with migrants. It is important to open the doors of our sacral places and objects and organise sightseeing tours for tourists, as well as to enable them to get to know the church and religious heritage of our Archdiocese. For this purpose, the Office promotes hospitality towards tourists, prepares various materials which will provide more information on the place they are visiting, organise guided tours and be available for possible questions. In the future, the Office will also propose possible pilgrimage routes through the Archdiocese of Zagreb for tourists. This activity will be done in close cooperation with the Office for Cultural Heritage of the Archdiocese of Zagreb.